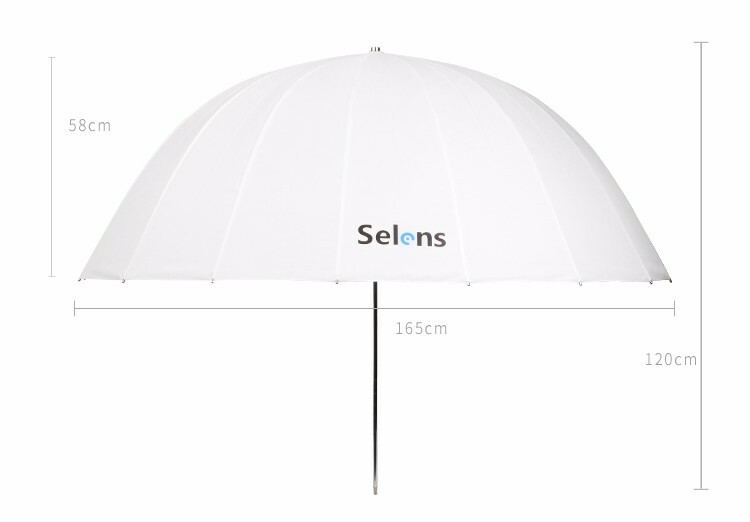 The parabolic umbrella (White Diffusion) from Selens is a deep huge, broad light source that wraps light around your subject, yielding clean and soft highlights and rich open shadow. 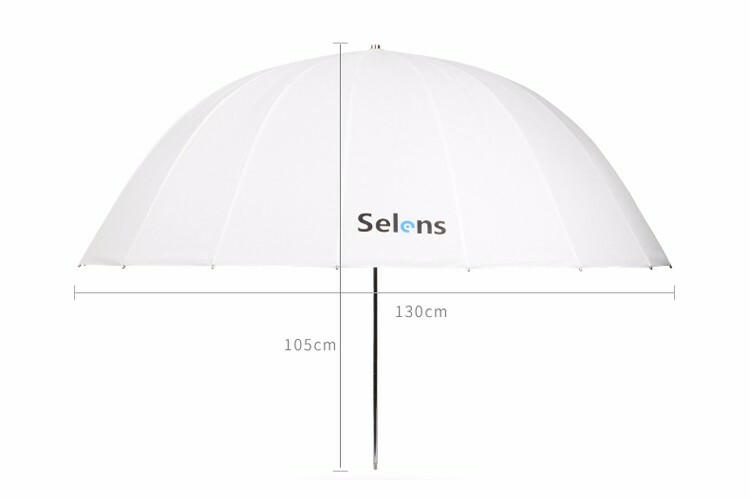 Due to the special parabolic shape of the umbrella, there’s a unique mix of soft enveloping light with the kind of crisp detail you only get from the reflectors. Also, the shaft is reinforced for strength with the stainless steel material, and the 16 inner ribs are made of durable fiberglass. You can vary the light quality and output by changing the light-to umbrella distance along the shaft or aim the convex side at your subject or not.